5959 Winkler Rd #309, Fort Myers, FL.| MLS# 218069573 | Southwest Florida Residential Real Estate for Sale. This the perfect place for that affordable winter getaway! Escape the cold to SW FL! This cute 1 bedroom, 1.5 bath 3rd floor unit is ready for you! Don't like the stairs - NO PROBLEM - there is a common elevator for you to use! Nestled in South Fort Myers close to everything! The location is great for someone looking for close proximity to the beautiful beaches, great shopping, multiple restaurant choices, along with the Barbara B Mann Theater! 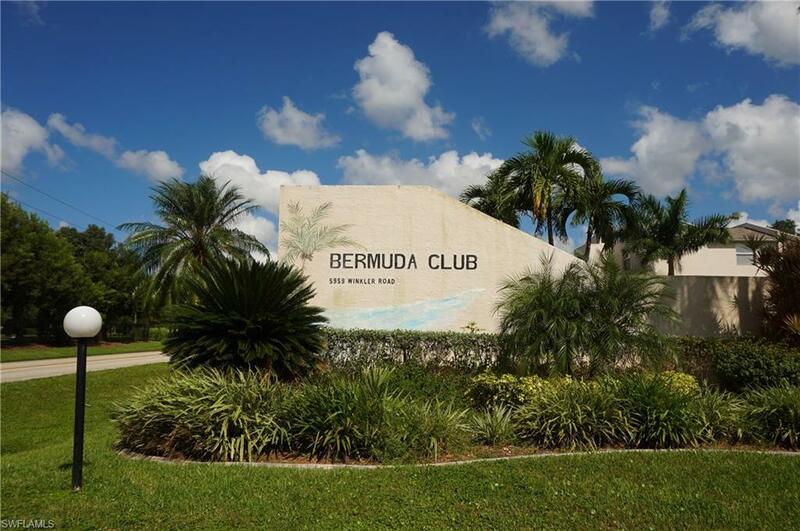 Bermuda Club is a very well maintained and financially stable community that offers a community pool, clubhouse, covered parking, BBQ grill by the pool, large courtyard, community workroom, and a large deck on Whiskey Creek! Low HOA fees of $265/mo includes water, lawn maintenance and MORE! Ready for immediate occupancy so call your Realtor today for a private tour!